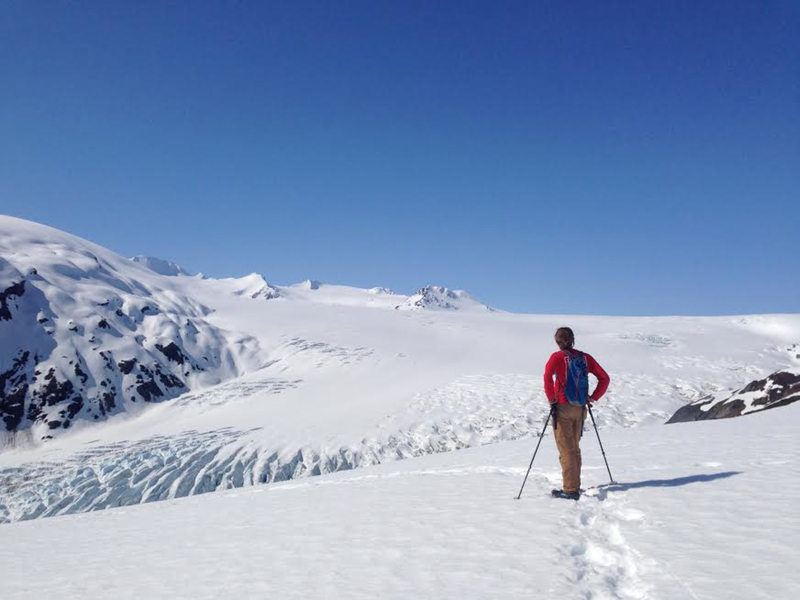 A strenuous hike from the valley floor to the Harding Icefield Overlook is worth the effort. Not ready to leave the park? Stay at one of several excellent hike-in campsites on the banks of the glacier-fed Resurrection River. This hike is a lungbuster, but the far-as-the-eye-can-see views of the magnificent Harding Icefield are worth the event. Hikers making the trek from sea level to the top of the Exit Glacier gain about 1,000 feet of elevation in each of the four miles to the viewpoint, so be ready for a strenuous hike. Mountaineers have been known to use the Harding Icefield Trail to exit the icefield in winter and late spring, but summer and fall are the best seasons to visit—just keep an eye out for bears. Dogs aren't allowed beyond parking lots in Kenai Fjords National Park; leave your pooch at home for this one. It’s hard not to be dwarfed in the state that’s home to the largest national park in the US—that distinction goes to Wrangell-St. Elias National Park, though it’s often mistakenly assumed that Denali is the largest—but Kenai Fjords National Park is a national treasure in its own right. Encompassing more than a thousand square miles, Kenai Fjords is home to an enormous swath of the Harding Icefield, the largest icefield contained entirely within the US. The icefield is the birthplace of nearly forty glaciers, and the Harding Icefield Trail climbs alongside one of the most famous and accessible of these, the Exit Glacier, for an out-of-this-world view of the icefield. The 300-square-mile Harding Icefield looks like a scene from Planet Hoth: nothing but ice and snow as far as the eye can see. (Don’t worry—to date, no tauntauns or abominable snowmen have been spotted on the icefield.) Kenai Fjords National Park rangers begin flagging the trail as the snow starts to melt, offering eager beavers the chance to see the icefield in all its snow-studded glory. If you wait until later in the season, you’ll see those telltale icy blue cracks—crevasses—from the overlook at the top of the trail. Not ready to leave the park after your hike? The Exit Glacier campground has 12 first-come, first-serve walk-in sites and is a quick walk to the banks of the Resurrection River—and terrific views of the glacier itself. In addition to very private sites, the campground offers a central food storage unit and cooking shelter—that bear you saw on the trail earlier will be making the rounds, so be sure to keep smellies out of your tent. The 8.2-mile roundtrip hike to the Harding Icefield overlook is strenuous—you’ll gain about 1,000 feet of elevation with each of the four miles to the top. 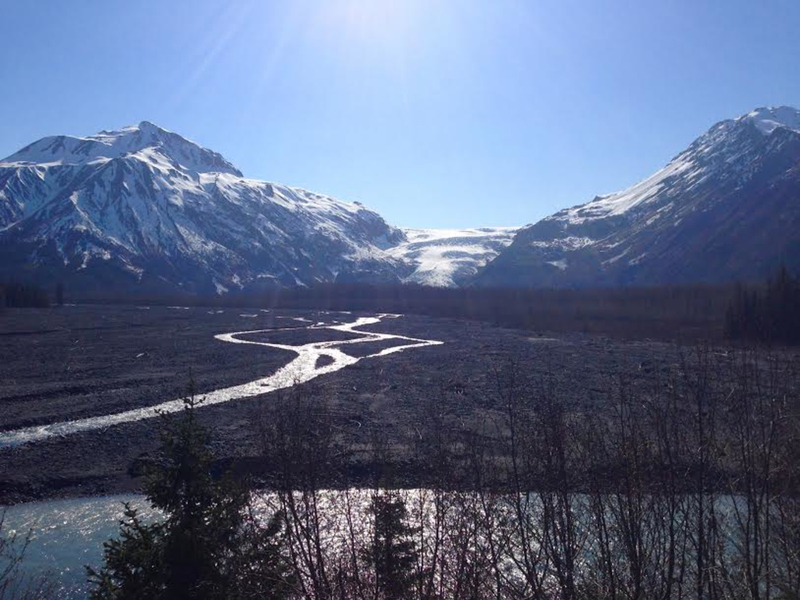 If trail conditions are poor, you can still get in some glacier views: an accessible interpretive trail takes hikers to the toe of the Exit Glacier and offers a history of the receding glaciers of Kenai Fjords National Park. The park entrance in Seward is about 130 miles from Anchorage via the Seward Highway (AK-1). Continue onto State Highway 9 (still called the Seward Highway) at its junction with the Sterling Highway. When you reach the town of Seward, take a right onto Herman Leirer Road, which eventually turns into Exit Glacier Road. Trust us—you’ll know the entrance to the park when you see it.